The greater Hershey area is a great place to work and live. Beyond the tourist industry, there are many core local businesses that support the community. Many of these businesses serve the local residents year round. Others have a steady clientele of both residents and visiting guests from Hershey, PA tourism. Hershey, PA businesses include professional services, medical services, automotive services, legal, accounting, cleaning, photography, stationary stores, grocers and many more. Our local businesses welcome you, our neighbors and guests. If you need us we are here, just a click or call away! We know a cancer diagnosis can be scary – and overwhelming. Whether you need emotional support, the latest cancer information, a ride to chemo, or a place to stay when treatment is far away, we’re here to help – 24 hours a day, 7 days a week. B.R.P. Entertainment (& Speakers Bureau) has working relationships with local, regional and national entertainers and speakers. The B.R.P. Team will strategize to find the perfect options for our clients to choose from based on the overall objective or theme of their conference or event. Specializing in providing entertainment and keynote speakers to corporations, associations, and casinos, the company also collaborates with event planners to bring the entertainment lineup to fairs and festivals. With over 40 years of experience, we take great pride in our reputation as the preferred drycleaner of the Greater Harrisburg area. We’ve been recognized as Simply the Best Drycleaner and Laundromat by Harrisburg Magazine for over 10 years. Lovely Retirement Community that includes Independent Living, various levels of Assisted Living, and a secured Alzheimer’s neighborhood. Nursing staff on duty 24/7. Respite stays available. Travel and tourism is one of the fastest growing industries in the world. Generating over $621.4 billion in direct spending, the leisure traveler is an extremely valuable sector to target and a lucrative return on a marketing investment. At CTM, we reach this audience that is sought after by so many businesses. Over 300 million travelers frequent CTM’s visitor markets each year. These visitors are more likely to buy products, consume services, and spend more than the average patron. When you set out to have a memorable journey – you’ll need a one-of-a-kind home-base, and lucky for you, you’ve found it! Cumberland Valley PA (a.k.a Cumberland County, PA) is located smack dab in the middle of two really important locations, the Appalachian Trail and the number one visited region in Pennsylvania. Rep. Ron Marsico represents the 105th Legislative District in Pennsylvania, which includes Lower Paxton, South Hanover and West Hanover Townships. Mike Folmer may be best known for the 87-year-old, landmark produce store that bore his family name in Lebanon, Pennsylvania. But it’s from a lifetime of living and working in the Lebanon community that he’s maintained a solid reputation as a civic leader and businessman. Charlie Dent represents Pennsylvania’s 15th District, which includes all or parts of Berks, Dauphin, Lebanon, Lehigh, and Northampton counties. Welcome to Dauphin County, home of the magnificent State Capitol Complex, world-famous Hershey candy, and a customer-friendly state and county government! 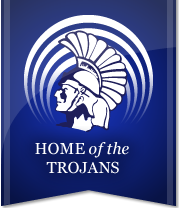 Derry Township School District is an award-winning public school system located in Hershey, Pennsylvania. Our community enjoys a legacy that began with founder Milton S. Hershey. The district serves approximately 3,400 students in kindergarten through twelfth grade residing in Derry Township, Dauphin County. We are an internet marketing firm that creates findable, functional Web sites and the marketing strategies that clarify our clients’ vision located just outside of Harrisburg, Pennsylvania serving growth-oriented clients in Central Pennsylvania and around the country. We are a full service banking institution that has remained independant since the late 1800’s and can help you meet your goals and objectives with many loan, deposit and investment options. The mission of the Harrisburg Regional Chamber & CREDC is to be a catalyst for policy change, for job creation and for business growth in Cumberland, Dauphin, and Perry Counties that enhances the quality of life in our region. Research center for studying Milton S. Hershey, his vision, his history, and the Hershey community. Collections include Hershey business and organization records, letters, photographs, maps, videos, films and oral history. 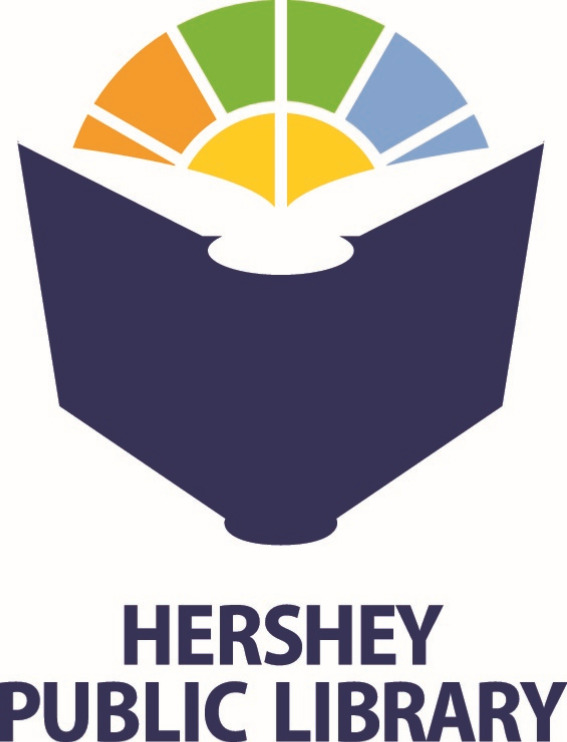 The Hershey Public Library is a community center focusing on open access to materials, programs, information, and services that fulfill the community’s educational and enrichment needs. The Library actively promotes and supports reading, literacy, information technology, multicultural resources and services and lifelong learning. For nearly 50 years, the Hershey Symphony Orchestra has entertained music lovers throughout Central Pennsylvania. The Hershey Symphony is an orchestra of accomplished musicians, voluntarily giving of their time and talents for the purpose of creating a cultural experience both for community / personal enrichment and enjoyment. The orchestra is located in Hershey, Pennsylvania, and its 80 members come from a wide area of Eastern and Central Pennsylvania. They rehearse weekly and perform throughout the year in a season that includes four subscription concerts and an annual POPS feature at the Hershey Theatre, an Annual “Shall We Dance” Benefit Gala and many special performances at community locations. Higher Information Group provides you with a one-stop shop within our six divisions including Business Equipment, IT Services, Document Storage, Shredding Services, Corporate Printing, Mail Services, and Web Services. Keystone Human Services provides community-based services for children, adolescents, adults, and families in the areas of intellectual disabilities, autism, mental health, early intervention, and children and family services. In addition, we provide technical assistance to governments and other organizations to develop frameworks of support for people with disabilities. We also support educational efforts to promote community understanding and awareness of the value and importance of inclusion for all people in all aspects of society. Business membership organization focused on networking opportunities, group benefit programs, marketing and promotion of members and advocacy on issues. McQuaide Blasko attorneys are experience and knowledge of our community enables us to give our clients personable and economical legal guidance and support. Our large group of attorneys at three locations stand at the ready to assist you in your legal matter. Graphic Design, Printing and Publishing. Experienced staff for design and print, Graphic Design, Rack Cards, Publications, Newsletters, Graphics, Logos, Billboards, Banners, Vinyl and more. We’ve printed more than 5 million publications! Digital print, webpress and offset presses available. Printing all projects large or small! with 20 years of experience. We make sure your project is ready when you need it, at the guaranteed best price. Call 717-579-6013 for your free quote. Full-service law firm founded on the principle that quality legal services can, and should, be provided in a cost-effective and timely manner. Power Train Hershey is unique to the Power Train model. Not only will it offer Sports Performance and Personal Training, but also gym memberships. Provides comprehensive solutions to complex building challenges for business and industry. Riverview Bank, come experience the difference Hometown Banking in Pennsylvania can make. As a trusted leader in the restoration industry, SERVPRO of Hershey / Swatara provides 24-hour residential and commercial services. As a locally owned and operated business, we’re dedicated to being faster to any size disaster, with the training, equipment, and expertise to handle your restoration and cleaning needs. The Vista School brings state-of-the-art special education and therapeutic services to children living with autism in Central Pennsylvania. Strategy. Innovation. Creative. Three things most agencies promise but few consistently deliver are in fact the very core of Triple Strength. When you choose Triple Strength as your marketing partner, you don’t just get strategic innovative creativity – or any other combination of clever buzz. You get a powerhouse team of professionals committed to solving YOUR marketing concerns. Visit Hershey Harrisburg (VHH) is the official non-profit partnership-based Destination Marketing Organization (DMO) serving Dauphin and Perry Counties in Pennsylvania’s Dutch Country Roads Region. VHH is a Destination Marketing Association International (DMAI) accredited organization committed to actively marketing the region locally, domestically, and internationally to leisure and business travelers, event organizers, and group tour leaders in order to stimulate the local economy and support tourism-related jobs. Your website is often your customer’s first impression of your company and needs to make a strong, immediate impact on visitors. WebTek is a web design company that can take your internet presence to the next level with custom, mobile designs, and integrated marketing! Contact us for a free quote. The World Forgotten Children Foundation (WFCF), headquartered in Hershey, Pennsylvania, USA, is a private non-profit effort, founded for the sole purpose of supporting projects that promote the health and welfare needs of orphaned children with disabilities in developing countries. Projects that WFCF has funded in the past have allowed for the purchase of: bathing and mobility equipment, braille writing tablets, textbooks and reading stands, hearing aids, nutritional and medicinal products, healthcare services, logistics and transportation, among others. 99 cents out of every $1.00 donated is used in support of WFCF funded projects. York County has exhilarating outdoor adventures, engaging historical attractions, the Mason-Dixon Wine Trail, Susquehanna Ale Trail and coming soon the Keystone Craft Spirits Trail. Read more about these trails in the press room. York’s attractions are plentyful from farm-fresh dining, a vibrant arts scene, and year-round FREE behind-the-scenes factory tours offered in addition to the special once-a-year Made In America Tours Event.